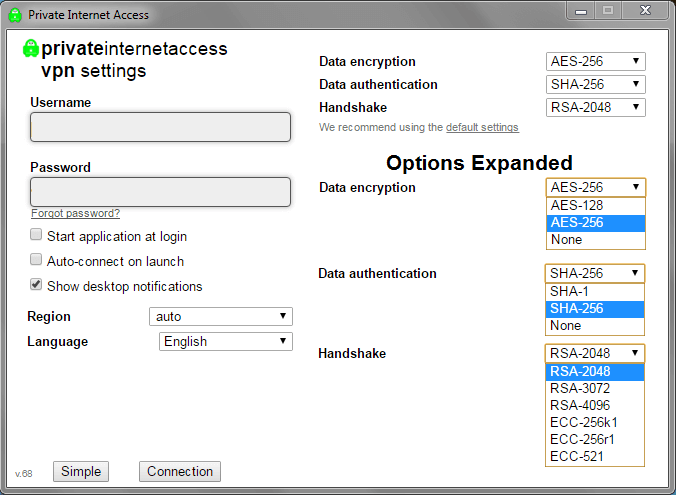 Private Internet Access (PIA) is a relatively older VPN service who has been providing secure VPN connections since 2011. With their impressive list of features and more than cost effective price, Private Internet has made their way into the mainstream spotlight. 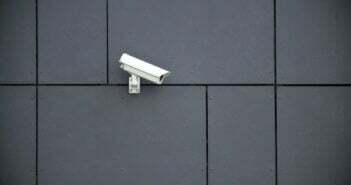 You might even be familiar with the name as they just recently took out multiple ads in the New York Times newspaper to call for the end of devastating Internet privacy bills, that have since passed. Here is a comprehensive review on all aspects of Private Internet Access VPN. Private Internet Access is no stranger to scrutiny of their privacy standards, one of the major factors being that company operates right out of the United States of America, one of the leading contributors to the development of the five eyes program. Regardless, Private Internet Access proudly advertises a “no logs” policy which has been proven true by law enforcement numerous times. Their second downside being that Private Internet Access uses shared VPS servers. On their network page, Private Internet Access prides themselves on having 3,251 servers. The major issue is that a majority of these servers have to be shared. Why is shared hardware an issue? 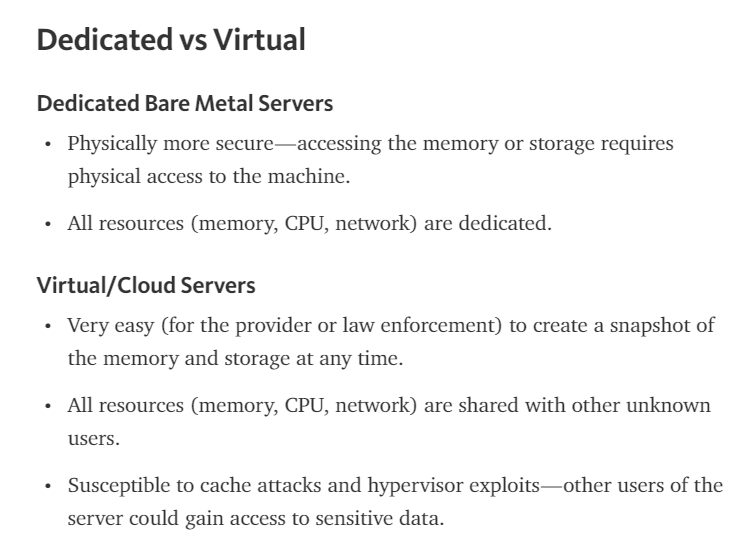 It’s not to say that shared hardware makes a VPN insecure, but it still remains controversy within the security community. Private Internet Access offers a wide array of crypto options, all with a simple click from their client. Private Internet Access offers an array of protocols for speed, privacy or just casual browsing. What’s great is how easily Private Internet Access lets you choose your privacy settings from any of their 25 locations. Now we’ll show you how the changeable encryption works in a few minutes, but here are the options that Private Internet Access offers. They have a huge range of encryption methods you can play with or leave default. They support L2TP/IPSec, PPTP, and OpenVPN. If all of these words and numbers look like a bunch of computer mumbo jumbo don’t worry, you’re not alone. The options above range from bare protection to extremely secure. If you’re unsure what encryption you should use for what you’re doing online, Private Internet Access offers an encryption page that helps you choose the best settings for what you’re doing. Personally, I would always recommend you to use AES-256, SHA-256, with at least a 2048-bit RSA key. Private Internet Access is one of the very few providers we believe offers truly usable features. Most providers will pack their VPN full of useless junk that never gets used. They’ve taken this away and added everything you need right into their dedicated Windows, Mac, Linux or mobile client. Not only is it useful, it’s literally as easy as one click. Private Internet Access offers access to 25 countries, including the United States, United Kingdom, Canada, Australia, New Zealand, Netherlands, Sweden, Norway, Denmark, Finland, Switzerland, France, Germany, Ireland, Italy, Romania, Turkey, South Korea, Hong Kong, Singapore, Japan, Israel, Mexico, Brazil and India. Private Internet Access has a massive catalog of devices they support. They offer dedicated VPN apps for Windows, Mac, Linux, Android, iPhone and as of recently, Chrome! Yes, Private Internet Access does have a dedicated Linux and Chrome client, meaning you can seamlessly use this app right within your browser or right on your Chromebook! Now just because they have dedicated apps for these devices doesn’t mean that’s all they support. 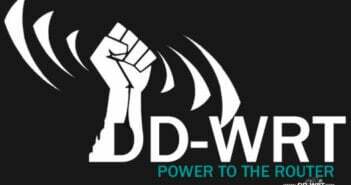 Private Internet Access also supports dd-wrt, tomato & pfense routers, as well as several individual flavors of Linux. Private Internet Access has an array of clients, for everything from Android, to iPhone & even Chrome! Just because they have a massive catalog of apps doesn’t make them useable, let’s take a look at why we love them. When it comes to a VPN for Windows users, this is by far one of the best clients we’ve found. Not only is it one click connect, they have tons of additional privacy and security features that serve a real purpose! Extremely stable and we’ve never had the connection drop or DNS leak with the settings checked or unchecked. While we do not own a Mac, the client did seem stable during testing. We have close friends that use the client regularly that report it works great, just like our Windows App. Regular users of Linux will know setting up a VPN is not pretty, however, PIA’s got an app for that! We are not regular users of the client, but during testing it seemed surprisingly stable and easy to use. Just like the Windows client we use regularly. Client works great and is stable with no disconnects. Location switching is even easier on mobile than the computer! We don’t own an Apple product but used the app in the past and it works flawlessly, just like Android app. Choose your location and click connect. As owners of a Chromebook, the PIA chrome extension is a must! It makes using a VPN on your Chromebook seamless, something that we all know is not seamless when it comes to the Chromebook! You can even use this extension on your computer to encrypt whats going on in Chrome and not affect any other applications. Among all the features that Private Internet Access provides, there is a small handful that we find absolutely essential and can’t live without. The first of the few is the VPN kill switch. Not only is this feature absolutely essential in today’s day and age, it provides an assured sense of security. 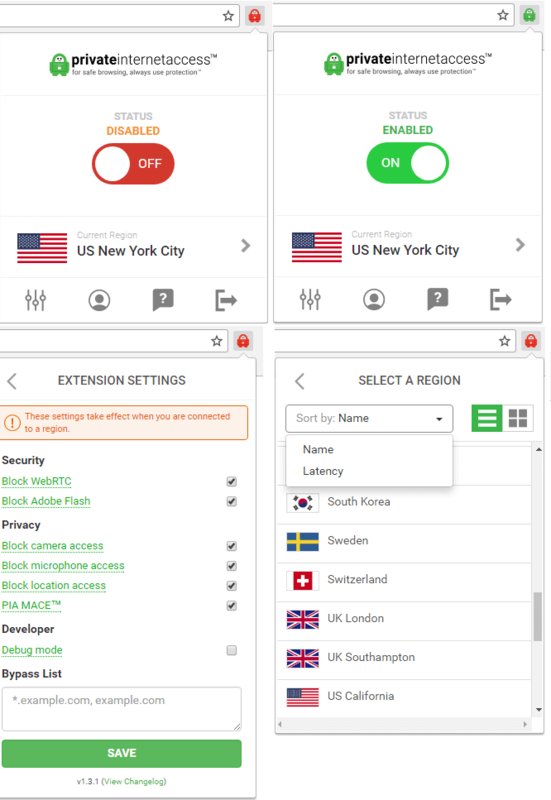 VPN kill switch is an essential feature that Private Internet Access popularized across the VPN market, by building a useable version right into their dedicated Windows, Mac, Android and iOS apps. The kill switch is essentially what it sounds like. If the VPN disconnects at any time, your whole internet will cut off on that single device, til the VPN reconnects, ensuring that you’re always connected to the VPN. This guarantees that the VPN will never disconnect and ensure that no packets might go unencrypted. It’s as easy as one click. DNS leak protection is similar in a different aspect. Take a look at the photo below to understand what a DNS leak is. As you can tell, it’s quite critical. So PIA goes ahead and takes care of this by pointing your DNS servers right to theirs. This will point your DNS strictly to theirs, who only work with users connected to the VPN. Making the kill switch and leak protection a great combo to have dually enabled, ensuring each and every packet is encrypted. While we could go on all day about those two great features, Private Internet Access does offer quite a few features not a whole lot of other providers are including. 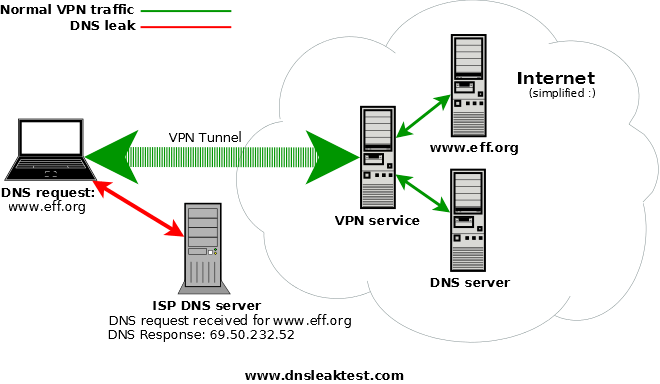 Such as the ability to easily change your encryption, forward ports or offer a proxy. We’re not going to comment on MACE, as we are not a fan of that technology, and if you’re not using a modern day ad blocker like UBlock Origin (Chrome, Firefox), you’re crazy. One of my all time favorite features of Private Internet Access is their ability to let you modify your encryption on the fly. No matter if you’re a crypto expert, or someone like us, a normal dude, it’s seamless to change your encryption. How is it so seamless? It’s all through their dedicated apps. No matter if it’s Windows or Linux, they have you covered. Here is just how easy it is to modify your encryption. If you want to know what all these crazy combos mean, go ahead and scroll back up to our Encryption segment. We love this feature because not only do they let you change the encryption, you can change it to your specific standards, no more pre-set limitations. Want privacy right now and streaming speeds in 10 minutes? In less than 3 clicks Private Internet Access has you covered! Don’t know much about encryption? Don’t be worried, just leave the default settings and you’re secure. Personally, we recommend AES-256, SHA-256 with at least a 2048-bit RSA key. Private Internet Access is able to achieve amazing speeds throughout nearly all 25 countries due to their massive network of servers. After using this VPN for several years, and doing another months testing, Private Internet Access provides extremely fast and stable speeds. We found that servers close to our home were extremely fast, and a majority of servers overseas provided great, but slightly hindered speeds as well. There is a noticeable speed drop when connecting to international servers (around 15%), but the VPN is still able to provide adequate speeds for HD streaming, downloading torrents or browsing the web. Private Internet Access can drop slightly in speed around peak hours, however, this usually disappears after a few minutes of being on the VPN. 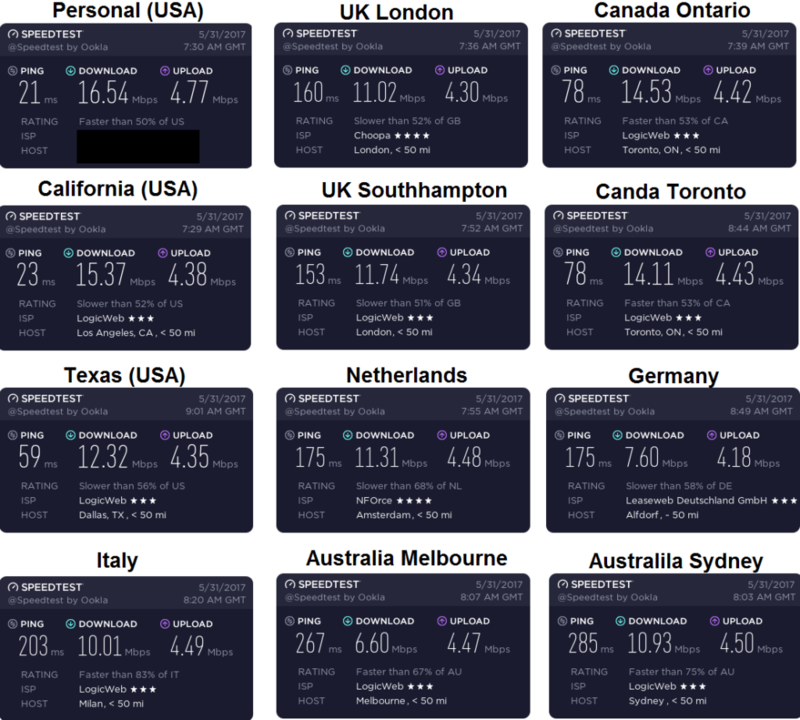 Here are our average speeds while using this VPN, this is not simply 1 speedtest. We would not recommend Private Internet Access for gamers due to the extremely high ping that can occur across a handful of servers. One odd thing we noticed is when there two servers in countries outside North America, one server seems to be noticeably faster than the other. This is very apparent in Australia. Private Internet Access offers 11 different ways to pay, including PayPal, credit card, Amazon pay, Bitcoin, cashu, ok pay, z-cash, mint, ecopayz, mobiamo and gift cards. Yes, they offer you to pay with gift cards from almost any retailer. While we could go on about Private Internet Access all day, we can truly say this is one of the best VPN’s we have used. It has been our go-to VPN for over 4 years now, due to its constant speed, usability, and price. Private Internet Access VPN is truly a great budget VPN with loads of great features! A truly privacy-conscious provider who respects privacy and offers a huge amount of features for dirt cheap!